I'm probably not supposed to buy commercial honey, my dad being a bee keeper. My love of cinnamon kicked when I saw this and I made the rare decision to buy a tub of honey. Nobody tell my dad. 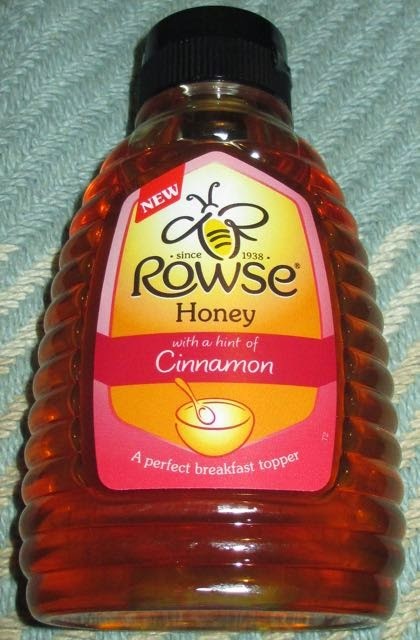 Flavoured honey is a bit of a curious idea, but this new edition from Rowse is all natural, which is good at least. There were no visible specks of cinnamon within the honey, it just looked clear. I think it is aimed at the breakfast market, so I thought I'd test it on a toasted waffle, albeit as an after dinner treat, not first thing in the morning. I popped the waffle in the toaster, and thirty-seconds later I was squeezing the runny honey all over it. I liked the squeezey bottle it made topping my waffle convenient and mess free, with no drips or sticky spoons to worry about. I could smell a hint of cinnamon as the honey hit the waffle, just lightly. 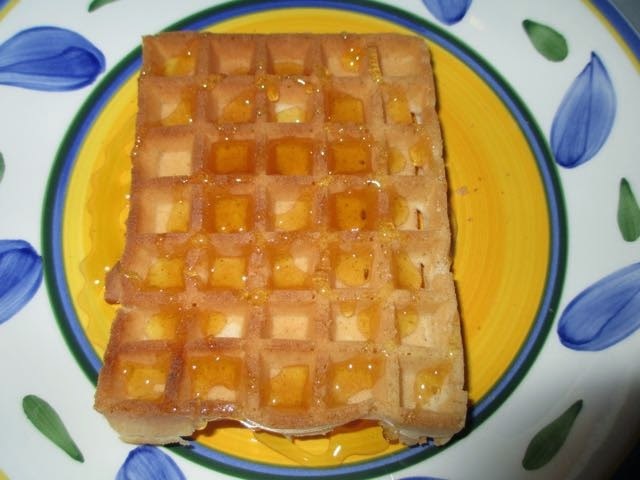 The waffle and honey worked nicely together and the hint of cinnamon adding a mild warmth to the flavour. The cinnamon was very gentle and subtle, but the spice worked nicely with the sweet flavour. I love spreading honey on toast then adding grated cinnamon on top so it stands to reason that I’d prefer to have a bigger hit of flavour than this, but cinnamon is by far my favourite spice. I did like this honey but I would have like the cinnamon to be stronger, but as an easy going breakfast flavour I guess it would be spot on for most.